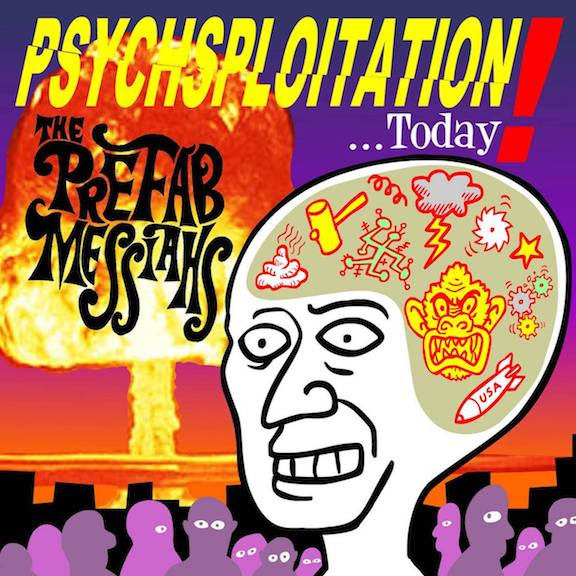 Massachusetts’ Prefab Messiahs are back with Psychsploitation, a new slab of psyched-out, fuzz-pop goodness. This time only taking 2+ years from their last release, Keep Your Stupid Dreams Alive – compared to the 32 years between KYSDA and their first album, Flex Your Mind. Psychsploitaion’s 10 tracks are politically charged and crammed full of all the reverb, fuzz and jangle you can handle. Give my favorite tracks “Having a Rave Up” and the appropriate album closer “Last Day on Earth” a spin below for a taste. Psychsploitaion is available now on CD via Lolipop Records and on Cassette through Burger Records. Enjoy.